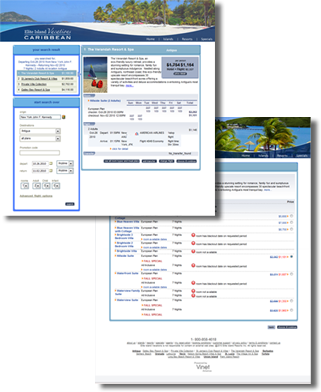 The hotel solutions offered by Vinet America include dynamic web sites with full booking capabilities, incorporating an integrated back office reservation and operation system. Supplements can be added to increase revenues.. Credit card processing is integrated in the system and all payments can be monitored and controlled easily while the auto cancel module will clear all unpaid reservations. 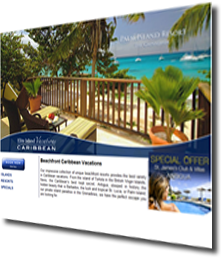 All customers and agencies can view their reservations at the special “my reservation” page while an auto mailer can send various documents (invoices, vouchers, itineraries etc) in a timely manner with your own logo from your mail address. Visual library allows displaying photos, videos, VRs, maps and all sorts of visual material of the properties sold in the system.